The pained grimace that Garrett Richards wore after injuring his knee on Wednesday was presumably mirrored on the face of every Angels fan on Thursday, when the team revealed that Richards had torn his patellar tendon and would miss six to nine months. As Jonah Keri wrote on Thursday, replacing Richards with Wade LeBlanc (or any of the Angels’ other unappealing pitching options) for that rotation slot’s six or seven remaining starts could conceivably cost the Halos as little as one win, but a “cost in wins” accounting doesn’t consider context — and in this case, context means everything. Given the nearly identical expected full-season win totals for the AL West’s top two teams (94.9 for the Angels and 94.3 for the A’s, according to FanGraphs’ playoff odds), Richards’s injury could easily be the difference between Anaheim winning the West and going directly to the ALDS or having to fight to advance in the wild-card game — which, without Richards or another starter of his caliber, the Angels probably won’t be favored to win. With one awkward step by their ace, the Angels’ odds of winning the World Series fell by roughly 30 percent. In baseball, a sport in which even the best players account for only a small fraction of their teams’ win totals, it takes a combination of a close race, a star’s extended absence, and a weak replacement for an injury to make the difference between a division title and a wild card, or between a wild card and a full-length offseason.1 With five weeks remaining in the regular season, the costliest injury of the year has likely already occurred. So if not Richards, which player will take the title belt for most pivotal injury of 2014? Here are an unlucky 13 contenders, in approximate descending order of damage. Shoulder problems have limited Cole to 15 starts, but the Pirates’ replacements have pitched improbably well. 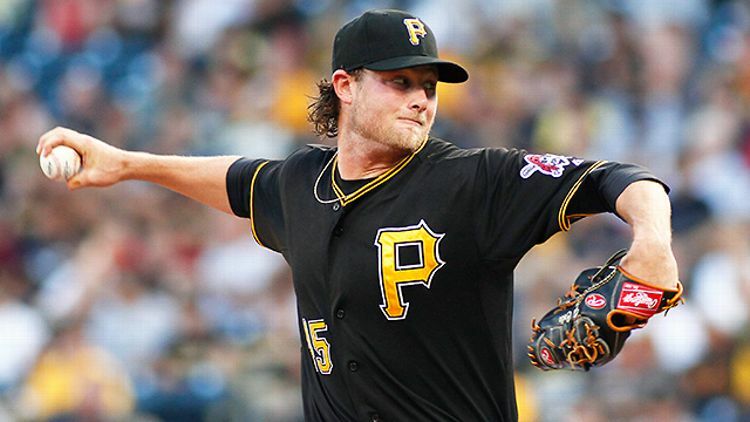 With Cole sidelined for seven weeks, Clint Hurdle called upon Vance Worley, whom the Twins traded to Pittsburgh for cash this spring following the right-hander’s disastrous 2013. Whether through the power of small samples or the magic of mechanics, Worley has been Pittsburgh’s most effective starter. While Cole is the Pirates’ best pitcher, they might not have been any better with him healthy and Worley in Indianapolis. Verlander could fit anywhere from last to first on this list, depending on whether the bulk of the blame for his season stems from injury or from plain old insidious aging (in the long term, an even more devastating condition). Astute readers will note that these are two players, not one. Pick your poison: The ZiPS projection system forecasted 2.1 WAR for both Griffin and Parker before spring training, and they both suffered UCL tears that required Tommy John surgery, so their injuries caused equal amounts of figurative and literal pain. Because Jesse Chavez stepped up and Billy Beane has been busy, it’s possible that Oakland’s win total won’t look any different at the end of the year than it would have had Griffin and Parker stayed healthy. In a “butterfly flaps its wings” sense, though, no injury altered the course of the season as dramatically as either of these. If Griffin and/or Parker don’t miss the season, the A’s keep Addison Russell, the Cubs don’t complete their collection of 22-and-under position players, another contender acquires Jon Lester, and Orlando Bloom’s Bieber punch probably lands. Between an index finger fracture that cost him six weeks and the oblique strain he sustained immediately after returning from the fracture, Lawrie may end up missing half the season. In his absence, the defense has suffered, and Steven Tolleson, Munenori Kawasaki, and Ryan Goins have hamstrung Toronto at the plate, plunging the Jays into a tie with the Yankees for second runner-up in the AL wild-card race. Attempting to explain in January why the Yankees had spent so much on Tanaka, I wrote, “In light of his talent and where the Yankees would be expected to finish with and without him, Tanaka seems as likely as any acquisition this winter to push his new team into October.” And he might’ve gotten away with it, too, if not for his meddling UCL. 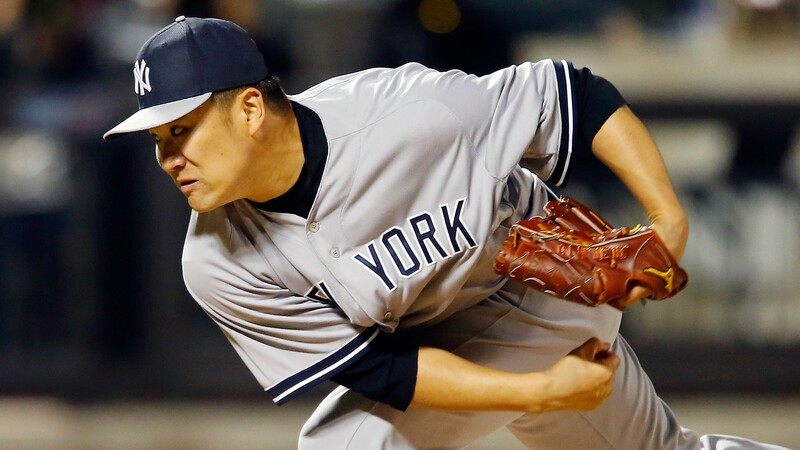 Between Tanaka, CC Sabathia, Ivan Nova, Michael Pineda, and, more recently, David Phelps, the Yankees have lost a whole rotation to injury, but Tanaka’s six-week absence (so far) hurts the most, even if he does beat the odds and return at some point in September. Marco Scutaro’s back problems made the Giants desperate enough to sign Dan Uggla. Matt Cain’s elbow problems made them trade for Jake Peavy (and probably made Cain pitch poorly pre-surgery). But Belt’s problems — first a thumb fracture, then lingering concussion symptoms — have made them give a combined 47 starts to Adam Duvall and Tyler Colvin. There’s a big drop-off from Belt’s bat to theirs, so he gets the nod over the Giants’ other walking wounded. Swisher has been one of the last decade’s most dependable players, posting an average-or-better season in eight of the last nine years (the only exception being 2008, when his BABIP cratered). Even in 2013, a down year on offense, he was worth between two and four wins above replacement, depending on the metric. This year, while suffering from knee problems that led to season-ending arthroscopic cleanups on both joints, he’s been the least valuable player in baseball. Swap hobbled Swisher’s performance with a replacement player’s, and the Indians would be one to two wins better than they are today. Replace hobbled Swisher’s performance with a healthy Swisher’s, and the gain could be closer to five games. The Indians are six out in the Central and 4.5 out in the wild-card race; if that’s where they finish, feel free to blame Swisher’s bad knees. 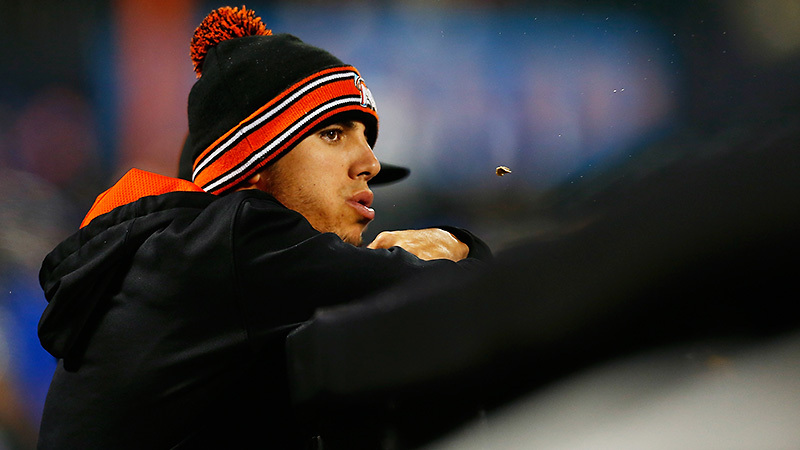 Fernandez’s pain was our pain, but it also had pennant implications. In the three and a half months that they’ve been without one of the best pitchers in baseball, the Marlins have had trouble completing their rotation, resorting to starts by Jacob Turner, Anthony DeSclafani, Randy Wolf, Andrew Heaney, and Brad Penny, who’ve ranged from below average to awful. Even so, Miami is only four games behind San Francisco for the second wild-card slot, and a healthy Fernandez is worth a win per month over a replacement pitcher. Paxton strained his left lat during his second start and didn’t return until August 2. When healthy, he’s been far more effective than Brandon Maurer and Erasmo Ramirez, who started in his stead. Seattle is a game behind Detroit in the wild-card loss column, so the math isn’t difficult to do. Losing Molina may not have been the Cardinals’ most costly injury. Shoulder problems have limited Wacha, like Cole, to 15 starts. The difference in Wacha’s case is that his replacements haven’t picked up the slack. Give Wacha — who’s been out since mid-June with a stress fracture in his shoulder — the 11 starts with a combined 5.16 ERA that went to Carlos Martinez and Justin Masterson (whom the team was forced to acquire), and even without Molina, that tiny Milwaukee lead still melts away. The Mets have missed Matt Harvey, and the Rangers would have been happy to have a healthy Prince Fielder, but examples like those lack the key “close race” ingredient. Brandon Beachy had Tommy John surgery three days after Medlen, but if Beachy had been healthy, Frank Wren might not have signed Ervin Santana, so we’ll call that a wash.
And, for the sake of completeness, Cliff Lee, on the grounds that he could have been traded to a contender, although that scenario requires Ruben Amaro to sell. Are You Sure You Don't Like DeMarcus Cousins?